McAllen shop coming soon, now hiring! New limited edition DrPeppa T-shirts! We specialize in simply providing the best quality or we don't put our stamp on it. Every tattoo we create we give it a 110% effort, ​NO short cuts, all work is specially designed for you. Great tattoo work, awesome music, friendly knowledgeable staff whom will guide you into creating the tattoo of your dreams. All of this in a very clean and kick back environment. 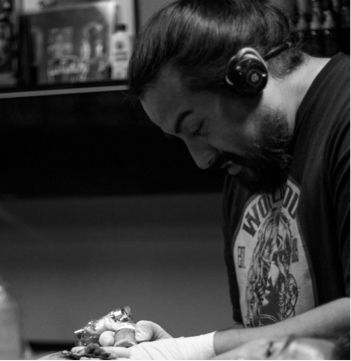 ​No tattoo too big or too small, we care to only provide the best! 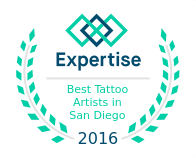 ​"Tattoos so good, mom would be proud"
Recognized best tattoo Artists in San diego 2016!